Store all of your belongings in one place with vehicle storage at Monster Self Storage. 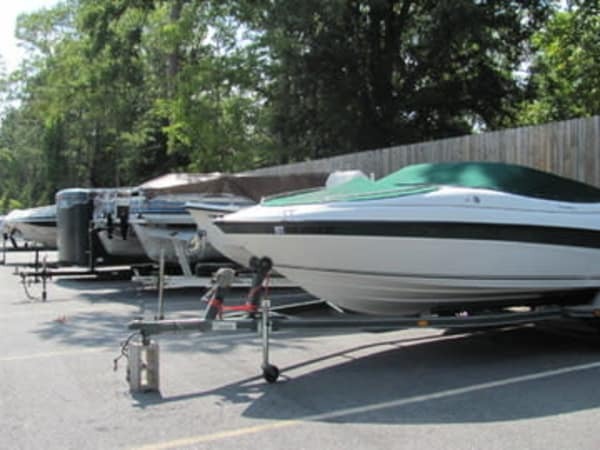 We offer RV, boat, and auto parking in Evans, GA. Enjoy the convenience of vehicle storage in Woodbridge near Platinum Marine. We offer 24-hour gate access seven days a week. Need to speak with a member of our staff regarding your vehicle or our storage solutions? Drop by the office; we will be happy to help. For more information on RV, boat, or auto storage in Evans, contact Monster Self Storage. It’s time to clear out your garage or driveway! Learn more about self storage in the Woodbridge neighborhood of Evans. Contact Monster Self Storage to speak with a member of our friendly and professional staff.